The high number of flights to so many parts of Italy, even through the winter, demonstrates just how popular the country is all year round. While countries like Greece seem to shut down in winter, at least as far as the airlines are concerned, buy a home in Italy and you’ll have no problem getting there all year. Winters sports in the north, mild winters in the south, the historic and artistic cities you can enjoy without the summer crowds, all attract winter tourists and house hunters to Italy. Ryanair flies from London Stansted to 24 Italian airports and also offers cheap internal flights. Italy has such an all year-round appeal that 20 of those airports continue to receive Ryanair flights in the winter. Italy has such an all year-round appeal that 20 Italian airports continue to receive Ryanair flights in the winter. To escape the British weather and gloom, head to Italy’s southern regions. You can fly to two Apulian airports, Bari (Tues-Sun) or Brindisi (Mon-Sat) for as little as £16.99 in January. From Bari airport you can also drive to Basilicata. Although it can get chilly at night the southern regions tend to have clear blue skies during the day, which is perfect for house viewing. 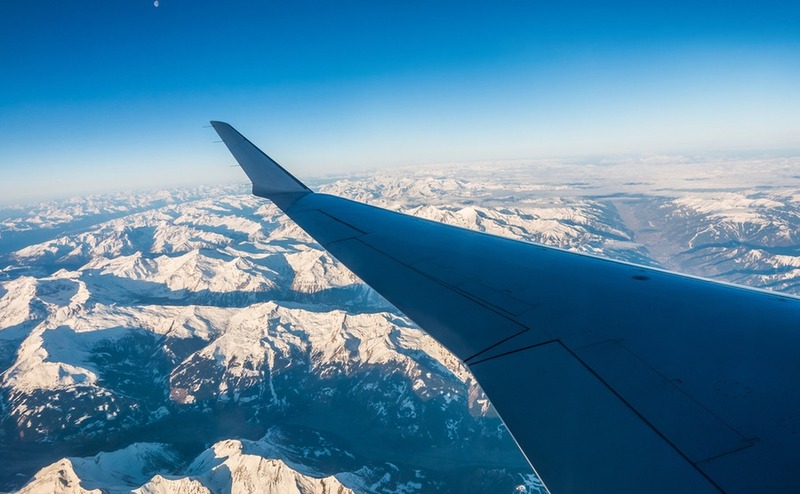 Other southern airports you can fly to in the winter are Lamezia in Calabria, which has four flights a week, and Naples in Campania, which has flights every day. If you want to explore what the islands have to offer take one of the daily flights to Palermo on Sicily or Cagliari on Sardinia (Tues, Thu, Sat) and enjoy long beach walks, away from the summer tourists. All the most beautiful cities of Italy can be reached easily all year round. So, if you are looking for a property you can visit at any time of year with plenty of flight options. Take a look at the big city airports like Rome Ciampino, Milan Bergamo and Milan Malpensa. From the Duomo in Milan you can see the Alps on a clear day, so flying to Milan to make a viewing trip to mountain chalets is a breeze. Why not do a spot of skiing while you are there, or take a look at the hill side homes overlooking the Italian Lakes. 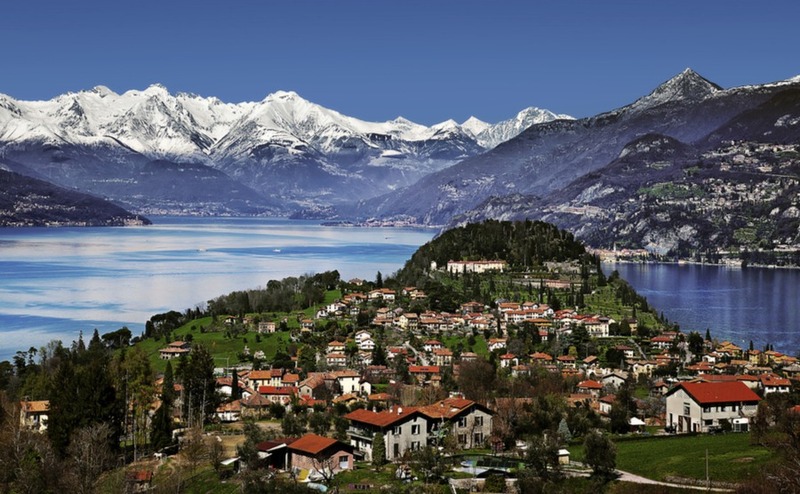 Lombardy is ideal for people who like winter sports, walking, mountain biking, trekking or climbing. You can fly into Pisa airport daily and reach Florence by road in less than an hour, and also explore the nearby cities of Lucca and Siena. The Tuscan countryside is beautiful whatever time of year you go. Do be aware that northern regions get rain and snow. If you want take a look at the pretty villages along the Liguria coast you can fly in to Genoa (Sat, Tues, Thu) or further inland is Turin Airport, which has daily flights. 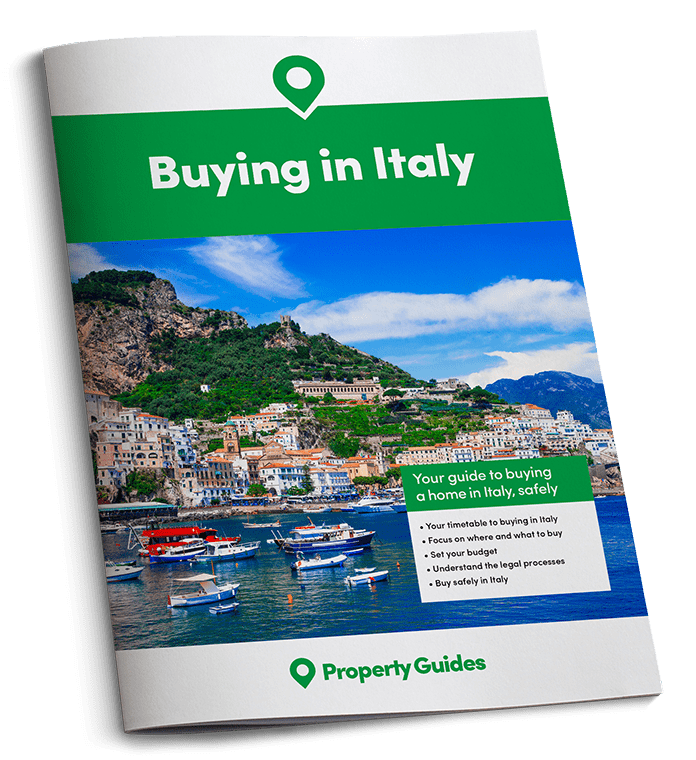 If you’re ready to take the next step and book a winter property viewing trip, call the Italy Property Guide Resource team on 020 7898 0549 to be put in touch with a trusted estate agent, lawyer and currency company or email italy@propertyguides.com. If you have your heart set on house hunting in the area around Venice there are daily flights to Venice Treviso airport and further east you can fly to Trieste (Mon, Wed, Fri, Sun). These two airports cover the area of Friuli-Venezia Giulia, Veneto and Trentino-Alto Adige. A popular winter destination due to the spectacular Dolomite mountains, renowned for skiing in the winter months and mountain climbing, hiking, cycling, base jumping, paragliding and hang gliding during the rest of the year. Around Christmas time you will also find many charming Christmas markets Bressanone, Merano, Vipiteno, Trento and Bolzano to name just a few. If you’re looking for an affordable country property there are flights into Perugia in Umbria (Wed, Fri, Sun), Ancona in Marche (Thu-Tue) and Pescara in Abruzzo (Mon, Wed, Fri, Sat, Sun) and daily into Bologna, Emilia Romagna. You will also find Ryanair flights from other UK airports such as Edinburgh, Birmingham and Manchester and with other airlines such as EasyJet, British Airways and Alitalia. EasyJet mainly flies out of Gatwick and Luton to the major Italian airports. British Airways also covers all the top destinations as does Italian airline Alitalia. Check out their websites for inspiration. There are some great winter flight prices right now and a trip to Italy to buy a property makes a lovely Christmas gift.